﻿ Target Inn Rome. JIMAT di Agoda.com! Ada soalan mengenai Target Inn? Bagi para pelawat yang ingin menikmati sepenuhnya pengalaman di Rome, Target Inn merupakan pilihan tepat. Hotel ini tidak terlalu jauh dari pusat bandar: hanya sejauh 0.5 km, dan kebiasaanya mengambil masa kira-kira 35 minit untuk sampai di lapangan terbang. Dengan tarikan utama di bandar ini seperti Mitsukoshi, Abbazia di San Bernardo Alle Terme di Diocleziano, Ottica Vasari berada pada jarak yang dekat, pengunjung hotel pasti akan menyukai lokasinya. Ambil kesempatan daripada pelbagai perkhidmatan dan kemudahan yang tiada tandingan di hotel Rome ini. Khidmat bilik 24 jam, Wi-Fi percuma semua bilik, meja depan 24 jam, Wi-Fi di tempat awam, tempat letak kereta merupakan beberapa kemudahan yang membezakan Target Inn daripada hotel-hotel lain di bandar. Tetamu boleh memilih dari 7 bilik, semuanya yang akan memberikan suasana ketenangan dan keharmonian. Di samping itu, pihak hotel menawarkan aktiviti rekreasi untuk memastikan anda mempunyai perkara untuk dilakukan sepanjang penginapan anda. Target Inn adalah destinasi sehenti anda bagi penginapan hotel berkualiti di Rome. The staff is the reason I would recommend it. The breakfast in the morning was great. Location was okay. However, it was very noisy the first night. Trash and bottle pick up at 1:00 am on a Wednesday night. Party next door. Hard to sleep with young kids. 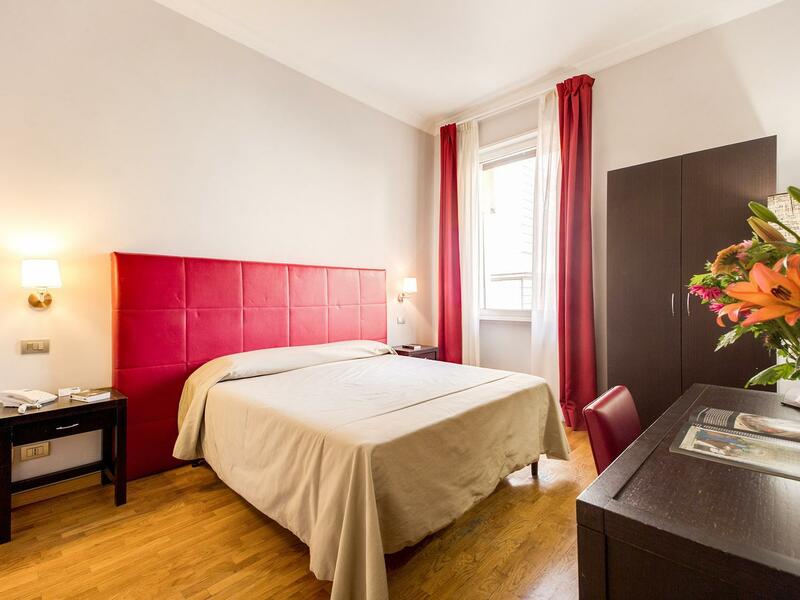 Target Inn is located in a back alley way, a short distance from the Repubblica Metro station. It may be slightly difficult to find, but the rooms are spacious, clean and no frills. Great for those looking for a budget place within walking distance from the Metro. Breakfast is a set of crossiants, orange juice, yogurt and coffee. We liked the place ! But there was a drawback for our room(303). The shower had a poor drainage system... Which is not exactly a show stopper, but it made us rate it a 4/5. All in, I would recommend target inn for all looking for a nice and affordable place in Rome! The staff were very helpful with sight seeing,restaurant recommendations & directions. AJ, FAith,& the guy were all very helpful. Nice stay. Stayed here for a few nights while we visited Rome. The room was modern and comfortable. Good wifi connection, sometimes can be slow. They send breakfast to your room every morning, so its quite nice to have something different. Location is great, access to Metro and Buses. You can even walk to Termini Station if you want. Around 15 mins walk to Roma Termini and 2 minutes walk to Repubblica Metro. Loation is also near tourist attraction spots. Service was friendly and great. The guy at the reception helped me to top-up my internet connection for my phone as i dont understand italian. Will stay here again if i visit Rome. I am so glad I stayed here. The location was excellent, only one minute walking to the closest station and 5 minutes to the main station. The room condition was definitely beyond my expectation for the price I paid. I was truly pleased and surprised. Staff were so friendly and helpful. I am so glad I stayed there and would definitely stay there again when I am back in Rome!!! 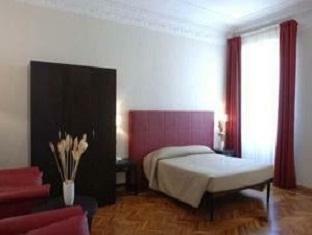 Good value just a few steps from Repubblica subway stop. The hotel building is peculiar - actually contains several small boutique hotels and other businesses, one per floor. You take the tiny elevator (max 3 people) to the 3rd floor before you ever even enter the Target "lobby." Wifi was a little flaky at times, but functioned well when it was working. For being right in the middle of a bustling shopping area, it was very quiet at night. There are only 7 rooms in this hotel. The staff will remember you and your preferences for things like the daily continental breakfast that is delivered to your room. Target is no-frills, but has just enough nice touches not to seem too cold or impersonal. It seems like it might be family-run, with just a few employees who work long shifts. Check out Oratorio just a block away - great pasta and impressive beer selection! not all staff are freindly in the hotel, breakfast was so simple and little.but location was supper good. The stay was superb. The hotel is located in an old building and it's actually one unit out of the many units of other accommodation operating within the same building. Target Inn is a simple establishment with only 7 rooms, it is clean and cosy. It gives us the homely feel and thus a warm stay. The breakfast was good and staff were friendly and nice. Easy access to major attractions and train station. Simple room with basic needs but the bathing area is a little small. overall it is still good to stay in. Room ware big and clean. Ac was properly working so overall stay was good because this summer Rome temperatures are around 38-40 degrees. It is small hotel with few rooms. 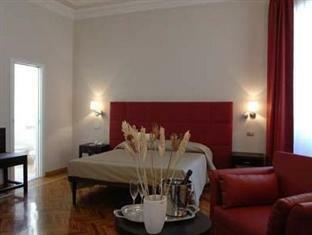 location was very convenient for major attraction in Rome and plenty of restaurant and bars nearby. This is nice hotel. Extremely close to metro and just 10-15 min walk to Termini. Very convenient to travel to major attractions in Rome. Also very convenient to find restaurants with good food nearby. Overall a nice hotel in a really good location. Rooms were simple, with a few problems. The safe was broken and the window didn't shut properly. But besides that, good value for price. Competent personell with good service. Good breakfast.